Bradfield Parish Council - Bradfield Parish Council is one of the largest parish councils in England set in beautiful countryside to the north west of Sheffield. Derbyshire Police - B & C Divisions cover the Peak District and Chesterfield areas. Sheffield First Partnership - High level, city wide partnership promoting Sheffield's future prosperity. Sheffield First For Investment - is an inward investment agency whose role is to attract companies to invest in Sheffield and bring jobs to the city. Tel. 0114 223 2345. Sheffield Hallam Liberal Democrats - Hallam Ward of Sheff. Lib Dems, political links, community & sailing. Sheffield One - Sheffield One is an urban regeneration company with specific responsibility for redeveloping the city centre. Tel. 0114 203 9090. South Yorkshire Pension Authority Online - official web site for members of the Local Government Pension Scheme within S Yorks. South Yorkshire Probation Trust - describes the work of, recent events and reports of the SYPT. Write To Them - Site allowing anyone to fax their MP - nationwide service and free. Yorkshire Forward - Regional Development Agency. 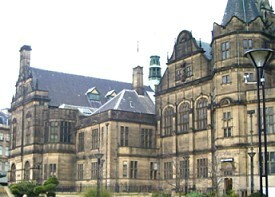 Work with Partners in Sheffield on development issues. Tel 01302 366865.